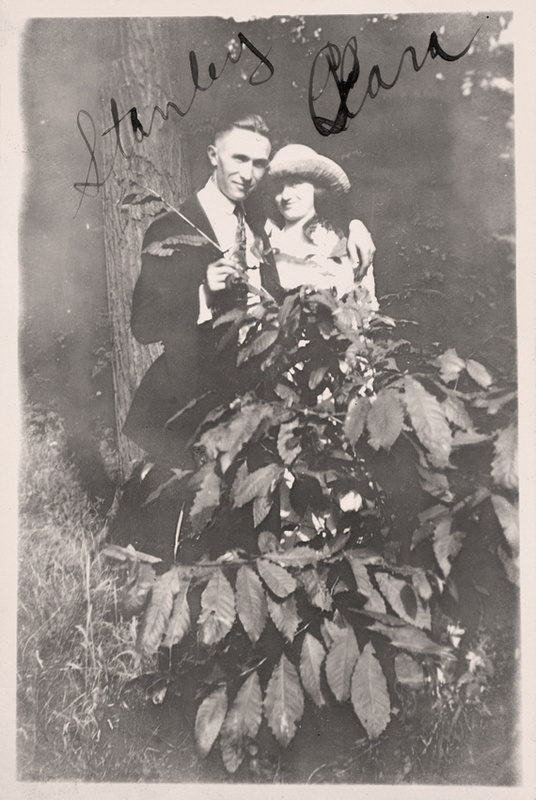 Stanley Pietrzak & Clara Tillie Bukowski likely photographed in Erie, Erie County, Pennsylvania. Stanley Pietrzak was born November 28, 1903 in Poland. Clara Tillie was born August 31, 1903 in Erie, Erie County, Pennsylvania. She was the daughter of Vincinety Frank Bukowski and Franciska Kwiatkowski. Erie, Erie County, Pennsylvania. Clara's sister Helen likely recorded the names on the photograph. From the Helen Tillie Bukowski Collection. Photographer Unknown. Editing and digital restoration by Michelle M. Murosky. Clara Tillie Bukowski is my 2nd great aunt. She was the sister of my great grandmother Helen Tillie Bukowski. Helen is the mother of my paternal grandfather Arthur Murosky.